BUCYRUS — The newly formed Crawford County Land Reutilization Corporation (Land Bank) has been recently awarded a Neighborhood Initiative Program (NIP) grant of $1,725,000 by the Ohio Housing Finance Agency (OHFA). These funds will be used to facilitate the removal of blighted, delinquent, vacant and abandoned residential buildings in targeted areas of Crawford County. 1. Vacant land with no buildings (small lots adjoining neighbors who would benefit from having the property attached to their existing property). 2. 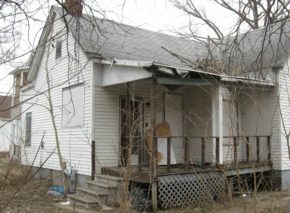 Properties with buildings (deteriorated and vacant) that would be eligible for demolition. The potential end user could acquire a vacant lot after the demolition occurs. Some restrictions may limit the eligibility of potential end users of these properties. Those with prior delinquency, foreclosure actions, local code violations or those who have special relationships with previous owners of the property may be affected. If interested, more information is available and taxpayers may have questions answered and obtain applications for abandoned, vacant and delinquent property by contacting the Crawford County Land Bank at 112 East Mansfield St., Suite 207 Bucyrus, Oh 44820 , email to cclb@crawford-co.org or call Barb McCullough at 419-562-7861.